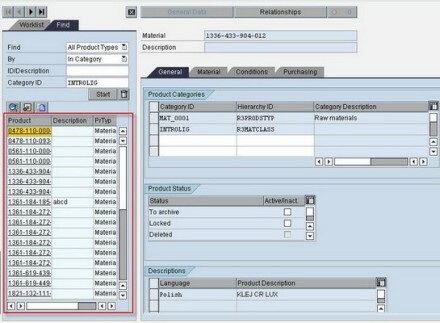 Need to replicate your material master from a back-end system to SAP SRM 5.0? This article from SAP Developer Network offers a quick guide. It covers everything from Basis setup to filtering the records and instructions for deleting material master from SRM. including all the BASIS(BC) activities. Before we proceed, I would like to point out that these instructions assume that the system has the latest patch level and support packages installed. Create system users for remote connection (RFC_CONN). This user must have SAP_ALL authorization. Create RFC connections in SRM system. Go to transaction SM59 on SRM side and click on 'create' button. Set RFC destination name to the back-end system <sid>CLNT<client> (eg. R3DCLNT200), connection type to 3 (abap / R/3 connection) and fill the target host to your back-end system. On the Logon/Security tab, add the RFC_CONN user created in the previous step. Save your settings. Create RFC connections in the back-end system. Go to transaction SM59 on the back end and click on 'create' button. Set the RFC destination name to SRM system <sid>CLNT<client> (eg. SR1CLNT300), connection type to 3 (abap / R/3 connection) and fill in the target host to your back-end system. On the Logon/Security tab, add the RFC_CONN user created in the previous step. Save your settings. Create a logical system name in SRM. Create a logical system name in the back end. Leave all other field empty. Now we must edit the table for the application indicator. Go to transaction SE16N on the back-end side and choose table TBE11. Search or add an application component BC-MID and edit activity settings (field AKTIV = X). In this activity, you define whether you are running the Enterprise Buyer and CRM in the same system. This might accelerate the Master Data download performance. If you are using CRM in the client, then skip this activity. 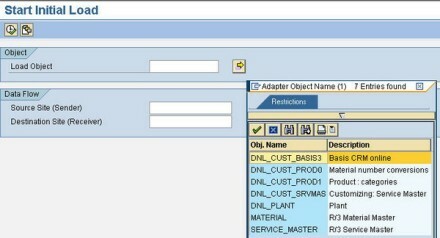 In the SRM system run transaction BBP_PRODUCT_SETTINGS, deselect 'Test mode' and choose the Execute button. The system generates a report containing all tables that have been deactivated. 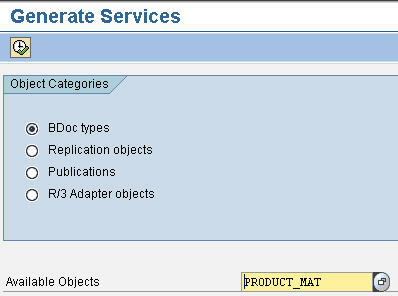 With this procedure, you generate the middleware function modules (BDoc Object Type) for the material master. Go to transaction SMOGGEN and choose object PRODUCT_MAT and PRODUCT_SRV. Generate services for all object categories. No From number To Number Ext. Repeat these steps for all of RRSEQ* objects. Check your output format for Product ID in the backend and SRM system. This values must be the same for both systems. Go to transaction COMCPRFORMAT in SRM and check the product ID lenght and values for displaying leading zeroes. On the SRM side, go to transaction SMWP. Open System Settings and double-click on 'Number of sites per site type' name. The Administration Console shows up. Click on 'Create Object' icon and fill in the Name and description. Choose R/3 for 'Type' parameter and click on Site Attributes. Enter and create an RFC destination to backend system (R3DCLNT200). Go to transaction R3AS on SRM side and choose the first object to download (DNL_CUST_BASIS3). After this, the source site and desitination site on data flow should fill with proper values. Click on the 'Execute' button. After this, go to transaction R3AM1 for the monitoring object. 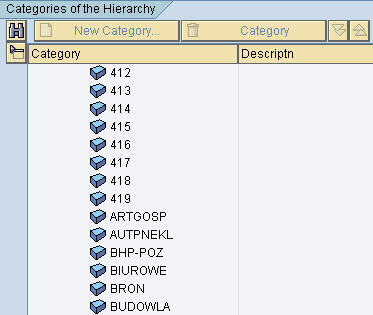 After this, go to transaction COMM_HIERARCHY to see what kind of categories are replicated from backend system. Go to transaction COMMPR01 to see what kind of Products are replicated from backend system. Click on filter icon on object MATERIAL. On the filter settings tab, choose Source Site Name and click edit button. Hope this blog was helpful. Marcin Gajewski is a SAP consultant in PWPW S.A. (Polish Security Printing Works), Poland, responsible for business development and implementation of new features. Want to read more from this author? Click here to read Marcin Gajewski's Weblog. Click here to read more about Business Solutions on SDN.